1766: QUEBEC CASTLE was described in June 1766 as newly erected and in occupation of Alexander Kennedy - I can find nothing on this man! 1767: July 11th - Ipswich Journal ---- "To be LETT & Enter'd upon immediately. or at Michaemas next.' ---- A PUBLIC INN call'd QUEBEC CASTLE, at EAST DEREHAM, (the very centre of the County of Norfolk) consiting of a very large Dining Room, several Chambers and Entertaining-Rooms, fitted up in the neatest Manner, with very good Grainaries, Stable and Barn, Also 16 Acres of Land surrounding it, in part planted for a Garden and Nurseries - The House is new built in the GOTHIC FORM, and so pleasently situated as to command a Prospect of near twenty Miles of the most improved Part of Norfolk, and in that, Views of near 40 differant Churches and Gentleman's Seats; particualy Norwich Cathedral & Swaffham --- The Landlord will give all possible Encouragement, and make further Conveniences to a Tenant, and particuarly to a Person skilled in Gardening and Planting. Enquire to Mr. Richard Leath at East Dereham, Mr. Crisp of Shipdham, of Messrs, Chastney and * Thurston at their Brewing Office in East Dereham or of Mr. Chastney at Trowse or of Mr. Fare at Christ's Hospital, London." " Went to Downham Market via Lynn to preach a Harvest Festival sermon, with collection for Lynn Hospital. I was entertained by Captain and Mrs Read at Crow Hall, the property of Mrs Bulwer, and the scene of her early childhood. Crow Hall derives its name from the fact of its having been an inn in former days, with the crow for its sign. If so, it is the more singular because QUEBEC, Mrs Bulwer's present residence, was originally a public house called 'QUEBEC-CASTLE'. " East Dereham is one of the handsomest towns in the county, most delightfully situated on the east side of the rivulet, over which there is a bridge. It is a post town, through which the mail from London to Thetford, Fakenham, Wells and Holt, passes, and the coach between Norwich and Lynn-Regis. It has a weekly market on Friday, and fairs Feb 3 and Sep 28. The annual meeting of the western battalion of Norfolk militia used to be here to exercise for twenty eight days, and the comedians from the theatre-royal, Norwich perform a few weeks here for every other year. Here is also a genteel assembly room. The two principal inns, the George and Kings Arms. Several hamlets lie in the environs of the town, in some of which are neat villas of the gentry. Particularly a house belonging to Samuel Rash Esq, but occupied by Edward Pratt Esq. called St James’s, with respect to its vicinity to a cottage called Whitehall. – QUEBEC-CASTLE, lately in the possession of Sir John Odingseles Leeke, bart, is a hansom, yet humble imitation of something grand. It is situated on the highest ground of this county is incomparably well chosen, commanding a very extensive and beautiful prospect each way. The house its self is slight, but neat, and the rising plantation will contribute to the landscape. We have been told that Mr Rash, who built this fanciful house, gave its name in compliment to Lord Townsend, who was second in command to the siege of Quebec. 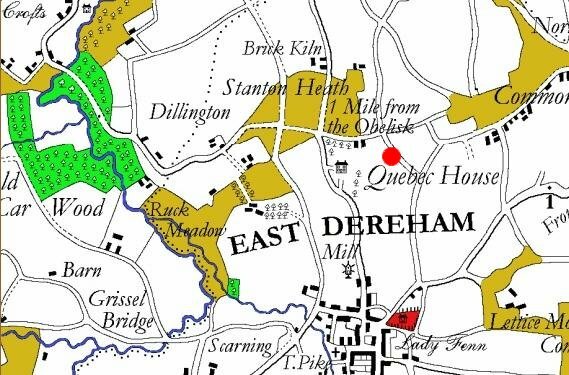 1790: May 8 - Norfolk Chronicle - TO BE SOLD - A Valuable and Compact Estate, in East Dereham, in Norfolk, consisting of a Messuage called QUEBEC CASTLE, with Coach-house, Barns, Stables and other offices, a good garden, orchard, plantations, and about 142 acres of very good arable and pasture land now in high cultivation. - The messuage and about 60 acres are now in the use of Charles Collyer Esq. and of which possession made be had at Michaelmas next. The remainder of the land is lett on lease, which expires at Michaelmas 1791. And to accommodate a purchaser who might not wish to purchase the whole estate, the house and any part of the land would be sold separately. For price and further particulars apply Mr Smyth, Attorney at Dereham. 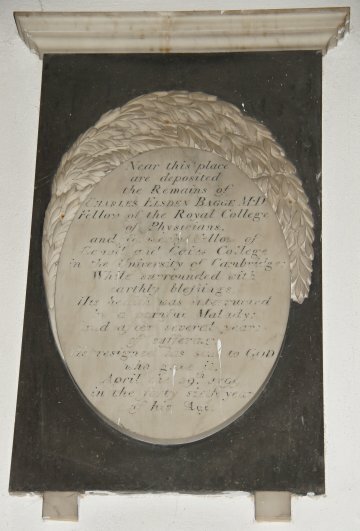 In memory of CHARLES ELSDEN BAGGE MD who died 29th April 1799 aged 45 Also of JOHN his son who died the 14th of December 1788 aged 2 years and of CHARLES THOMAS his son who died April 25th 1795 aged 11 years. Also of HENRY LEE BAGGE his son who died June 10th 1808 in the 26th year of his age. We assume Charles died at QUEBEC HOUSE. - He left a Will which could be interesting. 1779: July 10th - Norfolk Chronicle - Further evidence of the name 'QUEBEC-CASTLE' is found in this newspaper when it was advertised again "To Let ----- 'QUEBEC-CASTLE', presently in the seat of Sir John Leeke, Baronet - the advert goes on to read "Particularly adapted for a 'Gentleman' who is partial to the Sports of the Field, has a Garden, Dove-Cote, and about 20 Acres of Arable and Pasture Land ---- in the same paper on Aug 07th - The elegant and complete Furniture, will be Sold by Auction by Richard Bacon on Monday 9th August, and the following day. The Goods can be viewed on the Thursday previous to the Day of Sale - The house may be view by applying to Mr Marston, Attorney at Dereham. The occupant above describes himself as Sir John Odingsells Leeke, Baronet, however his title was questionable. There is correspondence on record that the Leeke's family seat of Yaxley Hall, Suffolk were contesting it. In an article on the Leeke-Family we find the following: ------ I have in my possession a series of letters from him to the two successive owners of the Yaxley estate, Seymour and Francis Leeke. The fornier certainly most thoroughly believed in the descent he claimed, and did all he could to help him prove his right not only to the Baronetcy but the Earldom also. 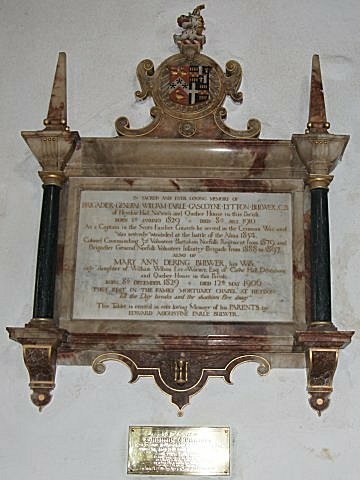 Sir John Odingsells Leeke, Bart, called himself a descendant of the Leekes, Earls of Scarsdale, he states he was a son of Robert Leeke, Rector of Great Snoring and Thursford in Norfolk, from 1734 to 1762. He held a subaltern's Commission in the West Norfolk Militia prior to the 'great revolutionary war'. He owned and resided at the mansion in East Dereham known' as QUEBEC, of which an engraving may be found in the 8th volume of Armstrong's History of Norfolk however his baronetcy was not universally acknowledged. In a letter written by Sir Henry Hunloke, of Wringeworth, on January 26th, 1786, he says, " I wish your friend Sir John Leeke success, if he could gain so old an Earldom it would be great indeed, but the Baronettage would be better than loosing, all. Your Ancestors were among the first made Baronets at the institution." Later on the poor gentleman fell on cruel times, and his pleading letters are quite painful to read. He describes himself as " a martyr to misfortune." Mr.Tallack, one of the correspondents in the East Anglian, says, " He must have come down very considerably in the social scale, for at the time of his death he was hostler (employed to look after horses) at the Old Lobster Inn, Norwich, and his wife was a washerwoman. I have heard persons who remembered them say that although in such humble positions', they bore unmistakable signs of having once belonged to refined society." In the early part of the next century he raised money on his reversionary interest in the Yaxley Hall estate; for Francis Leeke was still unmarried, and though Elizabeth Christian Leeke had married a Captain Bligh, there was no issue of the marriage, and at length he sold it to a Mr Whally. The last record of him may still be seen on a small gravestone in the churchyard of St. Stephen's, Norwich where he was buried on Feb 9th 1816, " Beneath are deposited the remains of Sir John Odingsells Leeke, Bart, who departed this life, February 5th 1816, aged 69, and of his relict Lady Leeke, who died, October 13th 1818, aged 80 years." ----- On a search of records it does in fact show John Odingsells Leeke was the son of Robert Leeke, Rector of Great Snoring and Sarah his wife, he was baptised on July 3rd 1747. at St Mary's Church. Above is a sketch of what is said to be QUEBEC-CASTLE in the seat of Sir John Odingsells Leeke, Baronet it was found in a book 'Histrory and Antiquities of the County Norfolk' by Mostyn John Armstrong, dated 1806 ---- As we know it bears no remembrance to the Hall as we know it today - Could this be proposed plans of what John Leeke had in mind for future development should he he have succeeded in acquiring his baronetcy. This was found in the National Archives in a Volume of "The Complete Baronetage"
1799: The East Norfolk Militia was escorting French prisoners of war from Yarmouth to Norman Cross. The bell tower of Dereham church was employed as a makeshift overnight cell for these prisoners. Jean DeNarde, a 28-year lieutenant and son of a notary from St. Malo, escaped from the tower, but could not leave the churchyard due to posted sentries. Being unable to escape, DeNarde chose to hide in a tree; but his absence was noted and he was soon discovered by a sergeant. DeNarde ignored orders to surrender and the sergeant shot him dead. The local people of Dereham were ashamed of this killing and a monument was built by public subscription in 1858 - He was buried on October 6th 1799 at St Nicholas churchyard. 1802-10: Several other entries were still being printed in travel/information books of the Dereham area refering to the 'INN' called QUEBEC-CASTLE by this time owned or occupied by St Andrew St John." 1803: - 'QUEBEC HOUSE' was again occupied by St Andrew St John. --- So who was this man? - I though with such an unusual name he would be easy to find. One man that could fit in is St Andrew St John (1766- 1836) who was a Doctor of Civil Law, at his death in 1836 he was at his property at Gayton, Norfolk which he had had built about 1800 as a shooting box. The house has an irregular plan and was built in several stages. It was not unusual at this time for the wealthy to own properties and rent them out so this could be our man - however I am not sure. 1808: - QUEBEC HOUSE in local directories still recorded St Andrew St John as owner - However it has to be said these books were often out of date ----- It could be that the property had in fact changed hands back to the Bagge family in or about this time as the following newspaper article is found. 1814: - May 21st --- His Royal Highness the prince Regent has been pleased, in the name and on the behalf of His Majesty, to give and to grant unto William Wilson Bagge, of QUEBEC-HOUSE, in the parish of East Dereham, in the county of Norfolk, Esq, eldest surviving, Edward Bagge, Esq, in the Civil Service of the Honourable East India Company, second son, Arthur Bagge, a Lieutenant in the Royal Navy, third son, and Thomas Bagge fourth son of Charles Elsden Bagge, late of QUEBEC-HOUSE aforesaid, Doctor of Medicine, deceased, by Anne his wife, only daughter and heir to Thomas Lee-Warner Esq, Late a Captain in the Army, also deceased, His Majesty's royal licence and authority, that they and their issue respectively may take and use the name of Lee and Warner only, and bear the armies of Lee and Warner quarterly, out of affection and respect of their late said mother, instead of their present surname Bagge; such arms being first duly exemplified according to the laws of arms, and recorded in the Heralds Office. otherwise His Majesty's said royal licence and permission to be void and none effect. The Peerage: William Wilson Lee-Warner was born on December 16th 1785.1 He was the son of Charles Elsden Bagge and Anne Lee-Warner. He married Mary Anne Dering, daughter of John Turlough Dering. He was given the name of William Wilson Bagge at birth. - On May 21st 1814 his name was legally changed to William Wilson Lee-Warner by Royal Licence. 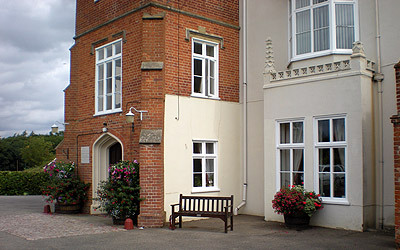 He lived at Quebec House, Dereham, Norfolk, England. 1819: - Friday December 24th, Jackson's Oxford Journal (Oxford, England) printed this marriage announcement: "William Wilson Lee-Warner Esq. of 'QUEBEC HOUSE' to Miss Mary Ann Dering, only daughter of John Turlough Dering a Horticulturist of Crow Hall, Denver, Norfolk ---- In the following years no recording of them appear so living and business appeared to have carried on with ease and from all accounts they put their efforts into extending their home --- QUEBEC HOUSE was originally cruciform with corners chamfered, but only one part of this remains, on the north side of the east wing. The building was 'squared up' not long afterwards, and it is thought about this time a 'Gothic' porch tower (but with sash windows) on the west and a castellated extension and terrace on the south were added in red brick (the older parts being plastered); all windows were given hoodmoulds. Accommodation was also needed for the ever increasing live-in staff, but as the property became larger and statelier, apart from the house there were also the grounds, stables and horses to maintain. It made sense for the staff, needed to carry out these jobs be onsite as they were often needed at all times of the day and as many had families cottage were built to house them. The cottages were built out of sight from the Hall so as not to spoil the view when the occupants gazed out over the land, although taken from a document this may not be correct (see below) ---- Two of these cottages have recently been restore. They are situated on the bend of what has aptly been named Quebec-road, at the spot where it becomes Holt-road, the road is also referred to as the B1146. Although the building looks like one home from the front, it is in fact a pair of dwellings. 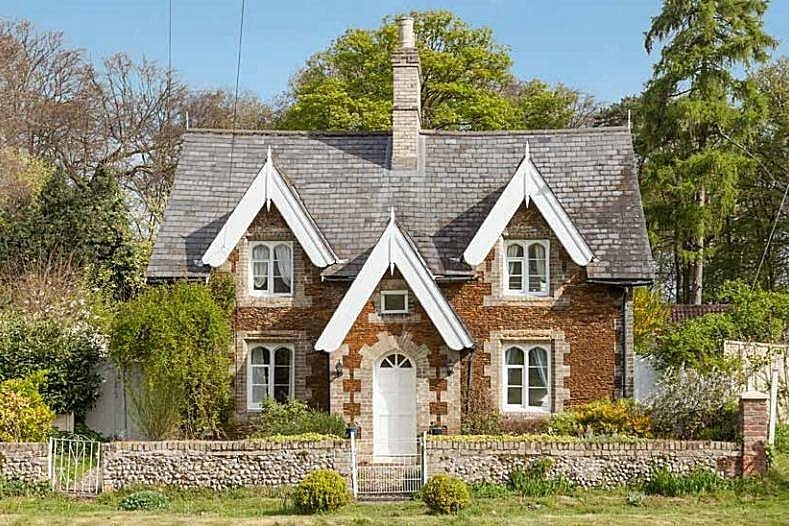 Census records show the coachman lived in one from 1836 and by 1851 this particular cottage was home to John Barnes, the gardener, and his family. There was also Quebec Farm consisting of Farmhouse, buildings and some 395 acres in 1881 - plus another cottage/lodge. In 1947 the estate was split up, the Hall together with some land was sold off separately, the Hall became a school (see below). The Carey family moved into Quebec Farm, retaining the remainder of the estate which after a few years was sold to Mr Reginald Patrick Palmer Wright) and it is assumed this included the Gate-Houses known as 'Gingerbread Cottages'. They were eventually sold in 1994. 1832: In the December of 1832 there was a large timber sale advertised in the paper. This was followed in the September of 1835 when a large barley-stack was fired and totally destroyed by diabolical hands of an incendiary; but happily, through the prompt exertions of the neighborhood, no further damage was sustained ----- A record in 1836 mentions that QUEBEC-HOUSE although originally small has been enlarged at various periods, and is now an extensive and beautiful Gothic mansion, with a verdant park and tastefully laid-out pleasure grounds. There are several newspaper articles on the social activities that went on at 'QUEBEC HALL' given by William and Mary Anne, where they entertain many well know people as well as the local townsfolk of Dereham. Another article in January 1844 reads William Wilson Lee-Warner has given a munificent donation of 80 volumes to the library. Then in April 1847 one gives mention that William and Mary left their home in Dereham for Paris. 1836: Aug 6 - Norfolk Chronicle - Robert Fitt, aged 33, pleaded guilty to having stolen one ram, the property of W W Lee-Warner Esq. of QUEBEC HOUSE, East Dereham - Robert Fitt was connvicted at Norfolk Assizes for a term of life on 02 August 1836 - He departed England on the ship Mangles together with 309 other convicts on March 18th 1837 for New South Wales and arrived on July 10th 1837. Robert Fitt had married Maria Kittmer on October 27th 1822 at Shipdaham - One of their daughters, Sarah Ann Fitt immigrated to Australia in 1855 aboard the 'Asiatic'. QUEBEC HALL - William Wilson Le Warner, age 50, Independent – Mary Ann, age 50, his wife – Dering, age 11, daughter – followed by staff - Lydia Gayloe, age 30, governess – Harriet Wilkins, age 25, servant – Maria Wales, age 25, servant – Mary Thurling, age 25, servant – Mary Baxter, age 25, servant – John Gushawk, age 25, under servant – George Bales, age 15, under servant. Quebec Cottage – James Wharton, age 30, coachman – Hannah, age 30, his wife – William G, age 2, son. Quebec Farm – George Goward, age 30, bailiff – Maria Goward, age 30, his wife – Susan Goward, age 15, daughter – James George, age 20, servant – John Fenn, age 20, servant – Henry Guymee, age 20, shepherd. 1844: Dec 7 - Norfolk Chronicle - Lynn and Dereham Railway - At a public meeting of Landowners and Inhabitants of East Dereham and it's Vicinity, held in the Assembly Room in that Town, on Thursday 26th September, 1844 - W W Lee-Warner Esq, of QUEBEC HOUSE, Norfolk in the Chair - The following Resolution (among others) was proposed by the Right Honorable Lord Sondes, seconded by F W Keppel Esq. and carried unanimously - That in the opinion of this Meeting the projected Railway from Kings Lynn to East Dereham will be highly beneficial to the neighborhood and to the county of Norfolk in general and is, therefore, deserving of the warmest support of this Meeting - The Norfolk Railway, building its line from Wymondham, reached Dereham first, and opened its railway to passengers on the 15 February 1847. The first station south of Dereham was Yaxham. The line from King's Lynn had to wait until 11 September 1848 - It closed in 1969 . 1850: In this year the Reverend Benjamin John Armstrong arrived in East Dereham. He took up the position as the new Vicar of St Nicholas Church, in the center of the town. Benjamin Armstrong would hold this position for 38 years. During this time he kept a diary. Thankfully after his death the collection of books were saved and passed down through his family. Recognising the importance of these everyday accounts of Victorian life, his Grandson transcribed and published some of them in a book titled "A Norfolk Diary". To this date (2019) yet two further publications have been published - Several of the entries make mention to QUEBEC HALL and it occupants. Below are some of those extracts giving some insight of what life was like at QUEBEC HALL during this period. QUEBEC HALL - William Lee-Warner Esq, age 65, born at East Dereham, occupation, Magistrate, Landed Proprietor, Farming 800 Acres and Employing 150 farm labourers – Mary Anne age 62, his wife, born at Denver, Norfolk – Maria Dering age 21, daughter, born at Westminster, St James, London – Followed by staff - Caroline Abbot, age 32, Ladies companion – Samuel Mullenier, age 30, Butler – Harriett Wilkens, age 34, Housekeeper – Sarah Isbell, age 32, Ladies Maid – Ann Dunhill, age 23, Housemaid – Emily Baldwin, age 20, Dairy Maid – Maria Mash, age 16, Under House Maid – George Buckle, age 20, Footman. Quebec Cottage No 1, was occupied by David Ward, age 37, Gentleman’s Coachman – Mary Ward, age 38, his wife – then their three children, William, age 8 – Fanny, age 7 and Robert, age 5, all scholars. Quebec Cottage No 2, was occupied by John Barnes, age 34, Gentleman’s Gardener – Elizabeth Barnes, age 32, his wife – Followed by three children who were scholars, Ann, age 10, Elizabeth, age 8 and Alice, 6 – followed by four other of their children under school age, James, age 4, Emma, age 3, William, age 2 and Harriet, 1 month. 1852: - On Monday June 14th, at 61 Welbeck Street, Cavendish-square, London William Wilson Lee-Warner died. ----- Norfolk News June 19th , reads "Died on Monday last at 61 Welbech Street, Cavendish Square, London. 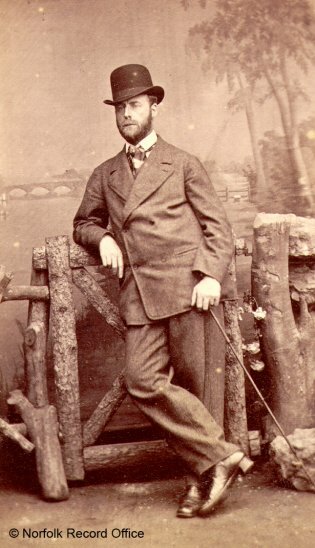 William Wilson Lee-Warner Esq, of QUEBEC HALL, East Dereham, Norfolk. Foremost in work of charity and mercy, his helping had was ever ready when the necessities of his poorer brethren require it; an active magistrate, and a kind master, his loss will be long and deeply felt in the locality in which he lived, in whose welfare he took a lively interest, and whose steadily increasing prosperity was to him a source of constant enjoyment in the calm evening of his life." William's wife Mary Anne continued to live at 'QUEBEC-HALL' and in 1855 the Rev Benjamin Armstrong records in his diary, that when having dinner with her at the Hall told him the following "Mrs Lee-Warner when Miss Dering and living with her father in the Fen district, riots broke out after the late war in consequence of the price of grain. So serious were they that the houses of magistrates were burned. No less that nine men suffered the extreme penalty of the Law a Ely for crimes connected with the outbreak. Mr Dering, as a magistrate, was of course a marked man. It was known that, while he was away from home his house was to be attacked. But how to get the news to him was the difficulty. The men could not be spared and the women dared not go. On this the spirited Miss Dering disguised herself as a gipsy and got to her father and the premises were saved." 1854: Francis White's History, Gazetteer and Directory of Norfolk 1854 - QUEBEC HOUSE, ¾ of a mile N. of the town, was built by the late Mr. Rash, who gave it the name it bears in compliment to Lord Townshend, who was second in command at the seige of Quebec. It is a handsome Gothic mansion, with a delightful park and tasteful pleasure grounds, and is now the seat of Mrs. Lee-Warner. Edward married Henrica Eleanor Caldwell, daughter of Captain Henry Caldwell and Mary Eleanor Bulwer, in 1899 at Chertsey, Surrey.- He gained the rank of Captain in the South Staffrordshire Regiment. He fought in the Boer War. - He died in 1934 - Probate: Norwich Jun 27th - Edward Augustine Earle Bulwer of Heydon Grange Heydon Norfolk dies April 19th 1934 at The Home Hoapital Association Fitzroy House London. Probate to Henrica Eleanor Bulwer, widow and Derick Henry Caldwell Cooper Lieutenant Commander R.N. Effects; £10393 16s 4d. * H.M.S. Mersey was one of the last wooden frigates to be built. Being launched in 1859, she soon became obsolete as a fighting ship and was reduced to doing duty on the coastguard. Captain Caldwell's daughter is still living in Norfolk. 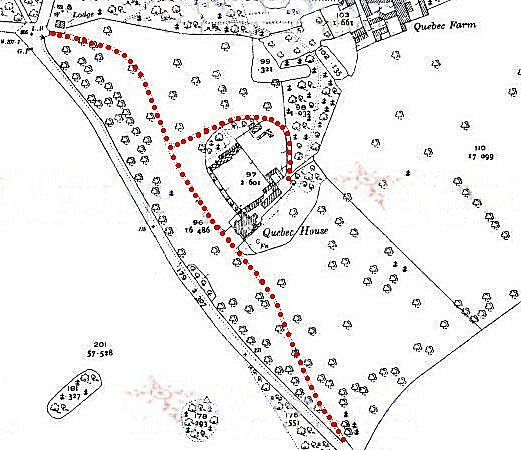 QUEBEC HALL - Staunton Heath - Dereham - William Bulwer, age 32, Justice of Peace, born at London – Marian, age 31, Wife, born London – William Bulwer, age 4, Son – Sybil Bulwer, age 1, born East Dereham – Followed by staff – William Smith, age 23, Footman – Jane James, 35, Cook – Ann Riches, age 32, Nurse – Mary Norton, age 22, Housemaid – Selina Jolly, age 15, Kitchen Maid – Hannah Miles, age 15, Nursemaid. 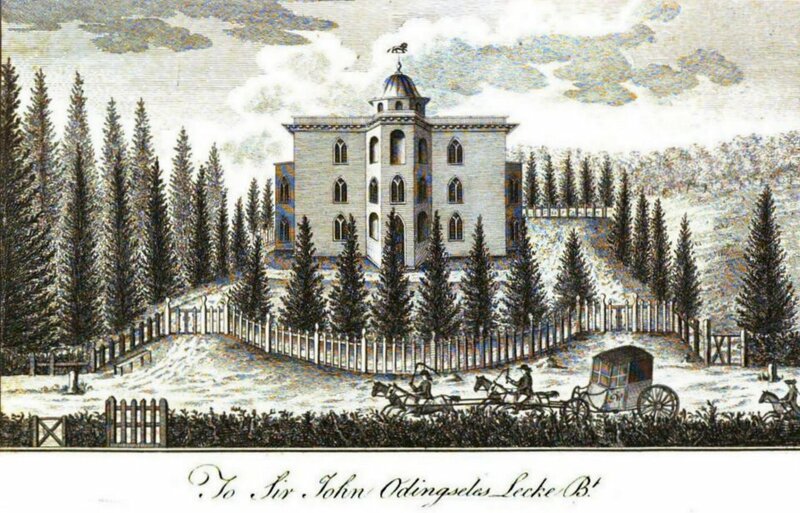 The Lodge, Quebec Hall - John Barnes, age 44, Gardener - Elizabeth, age 42, his wife - followed by six children, James, age 14, bricklayer - William, age 12, errand boy to grocer - Harriet, age 10, scholar, Clara, age 8, scholar - Alice, age 4 - Alfred, age 2 - Alfred Coleman, age 22, Nephew and Whitesmith. The Lodge, Quebec Hall - Robert Buckingham, age 39, Coachman – Sarah, age 33, his wife - followed by four children, Emma, age 12 - Henry, age 10, scholar - Harriet, age 7, scholar - Ellen, age 1. The Farm, Quebec Hall - Mary Powell, Widow, age 45, Farmer of 278 acres, employing 9 labourers and 4 boys – Charles Powell, age 21, son - Mary Ann, age 18, daughter - Emily, age 16, daughter - Edward N, age 15, son - Ann E, age 12, daughter and scholar - Walter J, age 10 - Horrace N, 15 months - Susan Rawborough, age 24, housemaid - John Chapman, age 46, yardman. The Farm Cottage, Quebec Hall - Charles Harris, age 44, Teams-man - Martha, age 41, his wife - John Harris, age 21, son and farm labourer - Robert, age 14, son and groom. * 1862: Norfolk Chronicle, Aug 13 - Wenesday October 1st, Sale at Quebec Farm, The Farming Stock by order of the Executors of the late Mr Edward Powell, who died in 1859 --- further notice show, 16 horses and colts, 42 oxen, cows and heifers, 300 lambs, 11 shoats (young pigs), implements &c.
* 1869: Norfolk News, Feb 6th - On October 22nd 1868, Charles the eldest son of the late Mr Edward Powell, formerly of Quebec Farm, East Dereham, and Colkirk, age 29, who lost his life by drowning while bathing in the river Maitin (?) New Zealand. 1861: - Now after one-hundred years the Hall was now a sustainable property. In the 1861 census William and Mary Ann known as Marian had two children, a son, William Dering Earl, born 1856, and Sybil Dering, born 1860. In their employ was a butler/footman, cook, nurse, nursemaid, housemaid and kitchen maid. William and Marian had further children, Marain Dering, born 1863 and Edward Augustine Earle, born 1864. 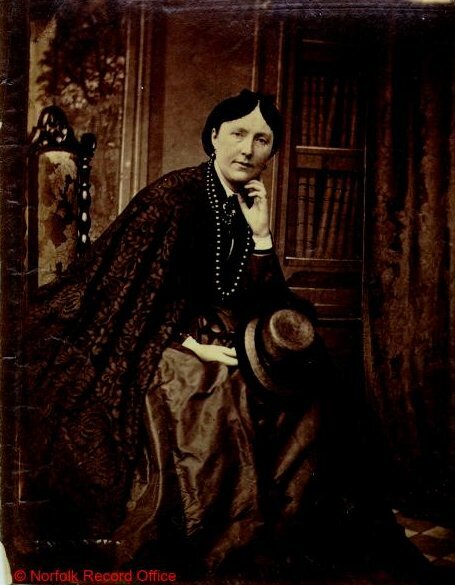 Sadly Sybil died at home in the Hall, she was in her 8th year, her young body was laid to rest at Heydon churchyard (the Historical Bulwer family Seat) on December 21st 1867 ------- William (late Lieut. and Capt. Scotch Fusilier Guards) was elected captain of the 15th East Dereham Rifle Club & Volunteers Rifle Corps on February 7th 1861 and from then many meeting were held in the grounds of the Hall. 1869: - February 9th - Rev George Henry Dashwood, was a house guest of William and Mary Anne's, who during his stay, after suffering a few days illness, died at QUEBEC HOUSE. He was a British Antiquary and was a renowned and respected fellow of the Society of Antiquaries and published numerous works, including many articles for the Norfolk and Norwich Archaeological Society. He was born on October 21st 1800, at Downham Market, the son of the Revd James Dashwood --- George became curate at Stow Bardolph in 1840; being appointed to the living of the parish combined with Wimbotsham by Sir Thomas Hare in 1853. George married Marianne Job, formerly Turner a widow, on October 14th 1830 at Kirkby Laythorpe, Lincolnshire. Marianne was the daughter of W. H. Turner, and widow of Dr Henry Job of the 13th Light Dragoons. George was buried on 16 February, aged 68, next to his wife Marianne, who had died in 1855, in Stow Bardolph church - they had no children. QUEBEC HALL – William E G Bulwer, age 41, Magistrate Captain Rifle Corps, born London – Marian D Bulwer, age 40, Wife – William Bulwer, age 14, Son, Scholar – Edward Bulwer, age 6, Son – Followed by staff - Henry Bingham, age 48, Butler – Anne Riches, age 41, Nurse – Selina Jolly, age 25, Cook – Harriet Parkinson, age 33, Housemaid – Harriet Barnes, age 20, Kitchen-maid. The Farm Cottages, Quebec Hall - Thomas Barratt, age 33, Farm Labourer – Elizabeth , age 27, wife – William B, age 2, son. The Farm Cottages, Quebec Hall - John Barnes, age 55, Gardener – Elizabeth, age 52, his wife – Clara, age 18, daughter – Alice, age 14, daughter and pupil teacher – Alfred, age 12, son and scholar. The Farm Cottage, Quebec Hall - John Quinton, age 39, Coachman – Rebecca, age 33, his wife. 1877: - Another tragedy concerning and infant struck the Hall, this time in the September of 1877, Mary Jane Weston age 23, a single women who was in the employ of Captain Bulwer was alleged to have concealed the birth and death of her female infant. The inquest was opened at The King's Head Hotel in the town where Mrs Elizabeth Barnes, wife of John, the gardener was examined by the Coroner, she said: I went to her bedroom and said "Mary what's up" she said "I don't know" I formed the opinion that she had been recently delivered of a child. I said "Mary what have you done with your baby?" She said "It is in that box." She then pointed to a wooden cloths box by the bedside. The box was locked and the keys in her possession, and she gave them to me. I unlocked the box but did not open it until Mr Hastings (surgeon) came. When he came I opened it, and found it contained the dead body of a newly-born female child. Mr Hastings carried out a though post-mortum and after delivering his findings the jury found that there was not sufficient evidence to show that the child was born alive. * Theophilus Shepstone was a Natal based politician whose declared wish was to govern Africans in accordance with their own traditions, a policy popularised in some of Haggard's novels. QUBEC HALL - William Earle Bulwer, age 50, Magistrate and Colonel of Volunteers, born London - Marian Bulwer, age 48, Wife , born London - William D Bulwer, age 24, Son, born East Dereham - John Whibby, age 38, Butler - Emma Ashley, age 44, Cook – Caroline Clarke, age 30, Ladies Maid – Alice Thrower, age 21, House Maid – Ann Pye, age 16, Kitchen Main. Quebec Lodge - John Barnes, age 64, Gardener – Elizabeth, age 62, his wife – Harriet, age 32, daughter and dressmaker. Cottage near Quebec Farmhouse - James Clitheroe, age 32, head farm labourer – Anna Maria, age 30, his wife – Anna E, age 8, daughter – Florence M, age 6, daughter – James, age 5, son – George F, age 3, son – Emma, age 1, daughter – Charles W, age 7 weeks, son. 1881: - was not a good year for Colonial and Mrs Bulwer. On a trip to Norwich in February, Mrs Mary Anne, narrowly escaped injury, when the hansom cab she was traveling in down Guildhall Hill, the shafts broke off bringing the horse down on it haunches against the Omnibus Shelter. The animal seemed inclined to be restive, but thanks to the timely assistance of cabmen standing near, and others Mary Anne was safely removed from her dangerous position. Then in the June, Colonel Bulwer, met with a serious accident which prevented his appearance in public for some time. It is reported that he was engaged in a game of lawn tennis with some young friends, when he slipped, snapping the tendons in his leg. 1881: - January 14 - From Rev Benjamin Armstrong's Diary - Dined with some of my family at 'QUEBEC HOUSE' to meet Dr. and Mrs Jessop. We ate swan. The Doctor told us a story of Mr. Jex Blake, a Norfolk squire with a wooden leg, and whom we met at dinner at Belaugh Hall in the autumn, who had his leg smashed by a cannon shot at Waterloo. He was humanely treated by a staff officer on the field. He never knew who his benefactor was till he met him accidentally at a dinner party a year ago. The story of 'the poor boy with the smashed leg' was told by the benefactor himself. "And I", said Mr Jex Blake "was the boy". They are both now very old men, but neither of them had forgotten. 1881: - January 23 - Another few lines from Rev Benjamin Armstrong's Diary - Driving in a sleigh to Hoe for the afternoon service, I found a snowdrift above the hedges nearly the whole way. The Times says that no day like January 18th has befallen the country within living memory. At Yarmouth fifty lives were lost by shipwreck. There is a snowdrift from 10 to 12 feet deep all the way from Millfield to QUEBEC HOUSE. 1881: April 3rd - The census, carried out on April 3rd reveled both William and Mary Anne we at home with William, the younger. The staff consisted of a butler, cook, ladies-maid, house-maid and kitchen-maid. 1885: - August 8th - Entertainment at QUEBEC HOUSE, - on the first Wednesday of August Colonial Bulwer gave entertainment on the grounds with the Band of the F Company V.B.N.R. Some hundreds of towns people assembled and refreshments were supplied to the visitors by the Colonial and his wife ---- Several events were given at the Hall in aid of raising money for the restoration of St Nicholas Church one 'A Sale of Work' took place in the Dining-Room of the Hall on August 31st and September 1st 1887 for the purpose of paying of the dept incurred. An Exhibition of Curiosities. Lawn Tennis, 6d each. Armature Dramatics where given in the spacious Marquee (erected for the occasion). Refreshments on the Ground. The band of the F. Co. 3rd V.B.N.R. performed. The grounds were opened at 2pm and closed at 10pm. Admission 6d. ---- In the late 19th century the stables and conservatory were extended, and lists of the furnishings show that they included pieces by Chippendale and a Cotman watercolour. 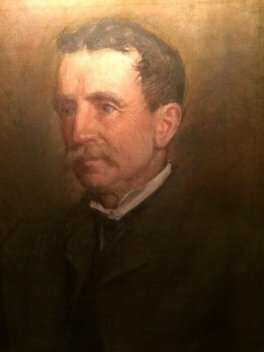 QUEBEC HALL - William E G L Bulwer – age 61, J.P. and Brigadier General of Auxiliary Forces, born Marylebone, London - Marian D Bulwer, age 58, his wife, born Marylebone, London - William D Bulwer, age 33, Son and Justice of Peace, born East Dereham - Sir Edward Bulwer, Widower, age 60, Brother, Visitor and Guernsey & Lt.Genl. in Army – Followed by staff - John Whitby, age 50, Butler – Rebecca Mayhew, age 65, Cook – Caroline Clarke, age 32, Lady’s Maid – Bessie Walker , age 23, Housemaid – Harriet Rump, age 19, Kitchen Maid. Quebec Farmhouse - James Clitheroe, age 42, farm labourer – Annie M, age 41, his wife – and eight of their children, Annie E, age 18, general servant – Florence M, age 17, housemaid – James, age 15, farm labourer – George F, age 13, farm labourer – Emma, age 11, scholar – Charles W, age 10 scholar – Benjarney, age 8, scholar – Harriet, age 5, scholar. Quebec Lodge - Charles Baldwin, 36, groom coachman – Mildred, age 30, his wife. * 1894: An announcement in the Norfolk News - Monday 1st October - AT Quebec Farm, Sale of All Live and Dead Farming Stock of Mr Charles Potter who is giving up Farming - Charles appeared in the 1851 census, farming at Quebec Farm - had he let it out since then? At this time the Hall was accessible by two entrances, the main-entrance being via the' Gingerbread Gate Cottages' the other was near to what is now the junction of De Narde Road and Quebec Road - David Potter installed the main-gates and driveway that we see today in the late 1950's. De Narde road was named after Jean DeNarde a 28 year old French prisoner of war who was shot dead in October 1799 whilst trying to escape imprisonment from St Nicholas church tower. He could not get past the guard so hid in a tree refusing to come down. He was shot. This resulted in a great out-pour of anger in the town. A fund was set up to cover his burial and a monument which was errected in 1858 which now stands in the church yard. QUEBEC HALL - William Bulwer, age 70, General (Army) and Magistrate, born Marylebone, London - Marian Bulwer, age 68, His Wife, born St Georges London - William Bulwer, age 42, Son and Magistrate, born East Dereham – followed by staff - John Whitby, age 68, Butler – Sarah Goose, age 58, Cook – Caroline Clarke, age 51, Lady’s Maid – Elizabeth Walker, age 39, Housemaid – Edith Willis, age 16, Kitchen Maid. Quebec Farm Cottages - James Kendall, age 49, teams-man on farm – Sophia, age 40, his wife – then seven of their children – Edward, age 17, son and horseman on farm – Robert,** age 15, son and carter in brickyard – Frank, age 14, groom – Angus, age 13, son – Florence, age 11, daughter – Charles, age 9, son – Louisa, age 8, daughter. Quebec Farm - Robert Wicks, age 50, farm bailiff – Jane, age 49, his wife – then five children and a granddaughter – Herbert, age 16, son and teamster on farm – Fred, age 15, son and groom - Claude, age 12, son - Land, age 9, son – Lois Wicks, age 8, granddaughter – Jael, age 5, daughter. Quebec Lodge - James Roy, age 58, gardener – Mary Ann, age 52, his wife. Quebec Lodge - Charles Baldwin, age 46, coachman – Mildred, age 41, his wife – Joseph Charles Baldwin, age 4, son - James William Wright, age 42, a visitor, rabbit warrener. 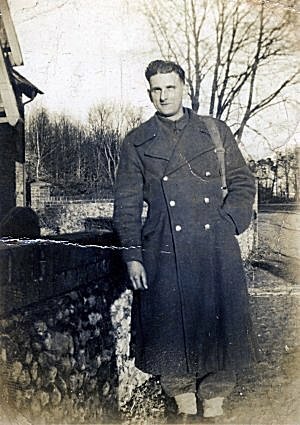 ** Robert Kendall (Sergeant) - Enlisted at Dereham, by 1911 he was a clerk with the 2nd Battalion Norfolk Regiment, stationed at Belguam, India. He served in The Norfolks for seventeen years, in India, South Africa, Italy and France. Born at Hoe, Norfolk, died on April 29th 1918, of wounds received in France and is buried in the graveyard of St Mary the Virgin church, Greetham, Rutland with his wife, where he married Charlotte Winterton, of that parish in 1915. He is commemorated on the Cenotaph in Dereham and on the Roll of Honour in the Memorial Hall, Dereham. The show was opened on Wednesday at East Dereham, on grounds which form part of the estate of General Bulwer, of QUEBEC HOUSE. The Society's previous visits to East Dereham took place in 1862, 1871, 1879, 1888 and 1896, and it seems the society has never absented itself from this thriving Mid Norfolk town for more than eight or nine years at a stretch. The show has grown during the forty-two years since the society's first visit to East Dereham. The town as on all previous occasion, did its utmost to give the society a cordial welcome, and rendered it all necessary financial support. A local committee were instrumental in raising a fund of over £300. They steam-rolled the ground and supplied it with water -- By four o'clock the admission had grown to 3210, which was over the record of other first days. The show continued on Thursday when beautiful weather prevailed and people from all parts of the county swarmed to the town, the route between the station and the show-ground, especially between the hours of ten and twelve being the liveliest. 1320 persons visited the show that day making up a total of 16426 for the two days - Admission for the first day was 2s 6d, the second 1s. ---- This being only a summery of a very long article which outline the events of the day, together with prizes. 1906: - This year brought great sadness when Mary Anne passed away at the age of 76. She died on May 12th, her remains were laid to rest in the mausoleum at Heydon, where other member of the Bulwer family are buried. The brass plate on her coffin read "Mary Anne Dering Bulwer, died May 12th 1906." The funeral procession left 'QUEBEC HALL' at 10:15 and slowly wended its way through the beautiful park and grounds. The Washington Hearse drawn by a pair of horses was followed by a carriage containing servants of the household. Gathered in the grounds were many leading gentry and tradesmen of East Dereham. Businesses and households had their blinds down and the flag on the St Nicholas church was at half-mast. Great mention was made in the press to the fact Mary Anne belonged to the old Norfolk family of Lee-Warner and had resided in the Hall all her life ----- William himself was now in ill heath and in 1908 he announced he would not seek re-election to any of his post and committees. 1910: June 14th - William the younger, William Dering Earle Bulwer married Lilian Mary Petrie the daughter of William Witon Petrie, on June 14th, 1910 in the district of Brentford. 1910: July 8th - William Earle Gascoyne Lytton Bulwer died on July 8th 1910, at QUEBEC HOUSE, age 81. An article in the Army & Navy Gazette reads, he obtained his commission in the Scots Guards, serving with the Regiment during the Crimean War in 1854, including the battle of the Alma, where he was severely wounded (medal with clasp and Turkish medal). Leaving the Army he joined the 15th Norfolk Rifle Volunteers, in February 1861, as Captain. That corps was afterwards merged into the 3rd Norfolk R.V., which he commanded from 1879 to 1894. Colonial Bulwer was also in Command of the Norfolk Volunteer Infantry Brigade from 1888 to 1897, (civil). He was JP for Norfolk and was High Sheriff on the county in 1883. William was laid to rest in the mortuary chapel of Heydon Church with his wife and many of his distinguished ancestors. Like his wife before him his body made the journey from 'QUEBEC HALL' by hearse to Heydon, over the casket was spread the Union Jack, above which rested William's medals. A brass plate bore the inscription "William Earle Cascoyne Lytton Bulwer, General, Born June 1st 1839, Died July 8th 1910." 1911: Jan 28 - Probate; William Earle Gascoyne Lytton Bulwer CB of QUEBEC HOUSE East Dereham Norfolk died July 8th 1910. Probate London to William Dering Earl Bulwer Esquire - Effects £4658. 0s 6d. In sacred and ever loving memory of Brigadier General WILLIAM EARLE GASCOIGNE LYTTON BULWER CB of Heydon Hall, Norwich and Quebec House in this parish. Born 1st January 1829. Died 8th July 1910. As Captain in the Scots Fusilier Guards, he served in the Crimean War and was severely wounded at the Battle of Alma 1854. Colonel Commanding 3rd Volunteer Battalion Norfolk Regiment from 1879 and Brigadier General Norfolk Volunteer I from 1888 - 1897. Also of MARY ANN DERING BULWER his wife, only daughter of WILLIAM WILSON LEE-WARNER Esquire of Crow Hall Downham and Quebec House in this parish. Born 8th December 1829. Died 12th May 1906. They rest in the family mortuary chapel at Heydon. Till the day breaks and the shadows flee away. Quebec Lodge – Charles Baldwin, age 56, coachman – Mildred, age 50, his wife – Joseph C Baldwin, age 15, nephew at school. Quebec Farm – Arthur Bernard Melton, age 41, farmer – Francis Ellis, age 41, his wife and dairy-maid – Ernest Arthur, age 14, son and helper on farm – Richard James, age 13, son at school – Arthur Francis, age 7, son at school – Harry Frederick, age 6, son – May Kirby, age 16, domestic servant. Quebec Cottage – Herbert Hill, age 31, cowman on farm – Kate, age 30, his wife – Stanley, age 7, son – Charlotte, age 5, daughter. 1912: Friday July 12th at 3 o'clock precisely - Auction - At the Kings Arms Hotel, East Dereham. It is not clear if this resulted in a sale for we find a further record of the Bulwer's still at the Hall in 1915. The HOUSE stands 220 feet above Sea Level , is sheltered from the North and East by Woods and Plantations , and is flanked by old fashioned walled-in Kitchen Gardens with long ranges of Glass Houses. GROUND FLOOR - Dining room 24ft by 18ft, study 18ft by 15ft with recess 8ft by 11ft, large corridor entrance hall, water closet, kitchens, scullery , servants' hall, butler's pantry, the use offices and extensive cellars. A brew house, dairy and game larder are attached to the house , also a heated conservatory. FIRST FLOOR - Drawing room 24ft by 18ft, 6 large bed rooms, 2 dressing rooms and water closet. SECOND FLOOR - Library and 8 bed rooms. For 9 horses with 2 large coach houses and harness room, men's room and hay and straw lofts over same - Farm premises suitable for a small dairy adjoin the Hall stables . Are comprised in the entrance lodges. The House is provided with efficient drainage and supplied with good water from a deep well. Brick, slate and tile, comprise - A convenient farm house with 6 bedrooms, 2 living rooms, kitchen and dairy. The farm premises included cart horse stables, barn, cow house, horse yard, chaff house, turnip house, range of 10 bullock boxes, implement shed, pigstyes, granary, wheelwright's shop, machine house, &c.
The Farm House and Land is in the occupation of * Mrs Rush. She was the widow of William Marlborough Rush a Farmer and Dealer, previously farming at Necton. William had died early in 1911 leaving Hannah with four young children. The above would indicate that maybe a sale did not take place in 1912 or she remained tenant under Mr Eldred Wilson as he purchased the whole estate. Hannah died aged 80 in Dec quarter of 1943 at East Dereham - was she still living at the farm? 1914-18: First World War was now in full flow --- How did this effect QUEBEC HALL? ----- There is no record of any Bulwer's killed in action although we know most young men of age took part in some way. We do know of one, the death of Robert Kendall whose father was one of the staff in 1901 - Are there other records? 1915: Sep 8 - The WW1 Zeppelin Raid on Dereham - On the evening of Wednesday September 8th 1915, the L14 Zeppelin appeared over Norfolk, coming in from round the Blakeney area making it's way to Dereham. It is thought the crew had mistaken Dereham for Norwich. They first dropped some bombs over Bylaugh Park where there was a Yeomany Camp, some lights were showing. Several more were dropped on route to Dereham and about 8:50pm one was said to have landed near QUEBEC HALL before finally reaching the town were they dropped the remainder of their load. Much damage was done in and round the market place, four people were killed and seven injured, although two more died later of their injuries - There are several articles and pictures on this subject which can be found on the internet. The two records below give some confusion as to who lives a QUEBEC HALL during this period. 1915: September 19th - Diss Express - On Monday, November 15th, the death took place suddenly at the age of 59 of Mr William Dering Earle Bulwer of The Laurals-Heydon. He was the eldest son of the late Brigadier, General William Earle Bulwer of QUEBEC HOUSE, Dereham, and Heydon. Early in the morning his prolonged absence caused alarm, and Mrs Bulwer went to investigate and found him lying dead in an apartment. Dr Perry was sent for, but his services were of no avail. The deceased gentleman had been attended by the doctor and he was able to certify the cause of death. The late Mr Bulwer who was born in 1856, was well known in Mid-Norfolk and for many years, when in residence at QUEBEC HOUSE, was a constant attendant on the Norfolk Bench, frequently taking the chair. He was in every way typical Norfolk gentleman. During the South African War he held a staff appointment, and on his return to England, devoted himself to his estate, and did not much take part in local affairs. He was a keen archeologist and ardent Churchman, and also took a great interest in the Mission to Seaman. He was also a keen sportsman ----- Lilian remarried in 1922 at St George, Hanover Square. London to Lt Col Granville John Berney Duff, 1869 - 1936 ----- The family were still owners of QUEBEC HOUSE at this time together with their historical Bulwer family seat at Heydon Hall. 1914: Eldred Winteringham Wilson - First appears on the Electoral Roll - for QUEBEC HALL in 1914. He also appear on these also, Sheringham (Holway Road), Hillington (Valley Farm), Gaywood (Sea Bank), Bawsey (Land), Flitcham, (Flitcham Abbey amd Harpley Dam) ----- Eldred was born in 1851 and in the 1851 census was named Savill W Wilson he was 4 months old. However, it has to be said there is no official record of his birth or a baptism. He was the son of Rev Plumpton Wilson Clergyman and Vicar of Thorpe Arnold Leicestershire and his wife Margaretta Wilson formerly Margetts - in the 1891 census Eldred was farming and living at Chilver House, Leziate (between Gayton and Kings Lynn, Norfolk) with him was his wife Matilda Miriam Gay daughter of Richard Gay, a Farmer. They had married on July 29th 1874 at North Wotton, Norfolk. One of their daughters Agnes Greaves married Henry Neville Carey a visiting Englishman in 1903 at Ivy, Virginia, the couple returned to England about 1908 after having two of their children there, Ruth 1904 and Allen 1907. Their son David Charles was born in 1909 at Middleton, Norfolk and as we see below David would marry Brigid Brinkman Wilson the daughter of Eldred's eldest son Richard Wilson ---- David & Brigid would become owners of QUEBEC HALL about 1945. In 1891 Eldred and Margaretts (known as Martilda) were at Chilver House, Brow of the Hill, Leziate, Freebridge Lynn, Norfolk, with them were their daughter Louisa, age 15, born Virginia and three other children Mary Ann M, age 8, Clifford E, age 7 and Rachel P, age 3, born at Norfolk England ----- The family then move back to the Kings Lynn area. In the 1911 census his home address was Flitcham Abbey, Kings Lynn, with him was Matilda, his daughter and two servant, he also stated he was deaf. However according to the Electoral Roll Eldred makes and apperance in 1914 ---- Eldred seemed to have had a few issues with his driving for in the April of 1936 he had his licence suspended for driving without Due-Care-and-Attention in Dereham market place, Charles Temple, a Dereham traveller; said he was driving his car through Dereham Market Place towards High Street when Wilson's car came straight across the road from the Market Place and collided with him. Wilson's car went zigzagging along the road for about 30yds. Mr Allwood, addressing the magistrates said that Wilson was a careful driver and had driven over 50,000 miles during the war, (this is interesting as Eldred would have been 63 at the start of the war??). He was fined £2, and his licence suspended for one month. A few weeks later he had a fine of 10s in the August, for going through a red light. Richard Eldred Wilson born October 20th 1876 at Virgina America; Lousia Margaretta Wilson born May 16th 1875 in Virginia America; Mary Mildred Wilson born May 6th 1882 at Wooton Norfolk; Clifford Eldred Wilson, born December 27th 1883 at Grimstone; Rachel Plumton Wilson, 1887, at Grimstone; Norah Lavinia Moreton Wilson, February 18th 1891 at Leziate; Josephine Einteringham Wilson, 1892 at Lynn. An article written by Anthony C Wilson (grandson of Eldred Winteringham Wilson) written in 1980 but reflects on his memories of about this time. 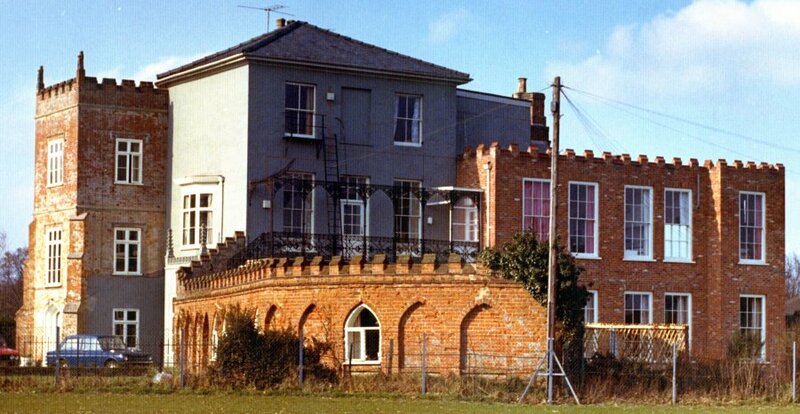 Just outside East Dereham there is an imposing house called Quebec Hall for a long time now it has been an Old Peoples Home but when I knew it as a child, it was the private residence of Mr & Mrs Eldred Wilson, my grandparents, and visiting them there in the 1920’s was like stepping back into the last century. Immediately upon entering the churchlike front door, arched and oaken, one came face to face with a full-sized brown bear, paws outstretched and mouth set in menacing grin. It was, in fact, a Victorian hat-stand carved from a tree-trunk, with hooks for coats and umbrellas. Encountering this monster for the first time was quite a shock, but nerves were quickly soothed by a curious musical tinkling. This came from hanging strips of coloured glass, which jingled together in the draught. They originated in China and were known as ‘wind-bells’ but it is a long time since I saw any. Leading from the left of the front hall was my Grandfathers study, one end of which appeared to contain a magnificent library, with shelf upon shelf with beautiful, leather-bound volumes. I shall never forget my astonishment at discovering these were all dummies! Even the door itself was composed of them, so when it was closed it vanished altogether, matching in with the shelves on either side. 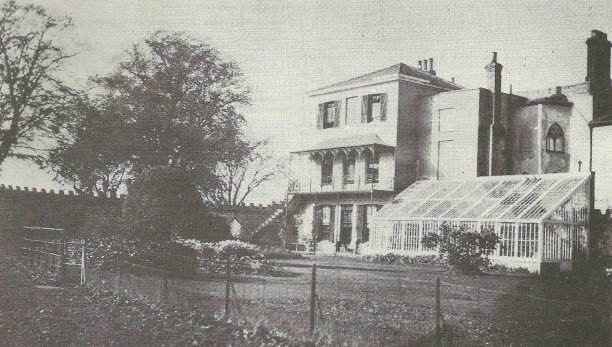 The drawing-room was upstairs with French doors onto a veranda, and steps leading down to the garden. It was a compendium of Victoriana – a rug ornamented with glass discs, the skin of an emu, a stuffed duck-billed platypus, particularly fascinated me – a kaleidoscope, and an instrument for producing stereoscopic effects when pairs of simulate photographs were inserted side by side. How up to-date, in comparison, with the gramophone. The records were one-sided, tremendously thick, and largely of sentimental ballad type. ‘Somewhere a voice is calling’ and ‘The Volunteers Organist’ were top of the pops! The sound issued from an enormous horn and some extra turns of the handle were usually necessary to maintain the pitch, yet I spent hours listening to these distorted early recordings. Later, the height of modernity was reached with the arrival of the first wireless set. This also had a horn and the faint voice of an announcer travelling all the way from London was nothing short of miraculous. It was after dark on winter nights when the past seemed more real than the present. This was partly due to the form of lighting. In a shed outside was an engine which converted petrol into gas. The motive power of a gigantic barrel-shaped weight suspended from the back wall of the house on a steel cable. In fact it hung just over the door of Georges and Lizzie’s kitchen. George was the gardener and he and his wife lived in. Every so often George cranked up this weight to its limit, and I always had visions of the cable snapping just as Lizzie was emerging! The gas-mantles burnt with a load hissing, and I dreaded bring put to bed in room were I’d been told two of my aunts had died of consumption, for I felt sure they’d actually succumbed to gas-leakage. With its numerous passages, twisting stairways, attic billiard-room and ‘secret’ steps to the glass-domed roof, it was a wonderful place for spooky games, and for scaring the maids by jibbering down the speaking-tube! The veranda outside the upstairs drawing- room and the conservatory. There was a large conservatory attached to the house, always full of sent and colour, and here grew my Grandfather’s prize camellia. Every Easter Monday he took a basketful of its gorgeous blooms to Fakenham races and presented them to the Queen of Norway. I don’t know how the tradition began, but it lased many years. Visitors to Quebec always returned home laden with flowers, fruit and vegetables. The huge kitchen-gardens was entirely walled-in, and though most of its wide paths had low box hedges, quite a number were edged with inverted ginger-beer bottles. Against one wall was a splendid greenhouse where grapes, peaches and nectarines grew to perfection. Nearby was the forerunner to the deep-freeze, an ice-house, where blocks of ice from surrounding ponds, were stored underground to be used in the summer. Yet even the garden was not without the Victorian emphasis on death, for here and there were tiny grave-stones set up to commemorate some favourite pet and I was greatly moved by their pathetic epitaph. As to my grandparents themselves, they were a remarkable couple. Mt Grandfather drove a car till he died at the age of 85, although he would have been much happier on a horse. He frequently motored to meets of the hounds, and on one occasion, when I took my life in my hands and accompanied him, he insisted on driving halfway across a ploughed field to get a better view of the chase! Mt Grandmother, well into her eighties, and without the aid of spectacles, kept an eagle eye on the stock market, and new exactly how to invest her money to best advantage. Both were kind, generous people, much loved by their large family and even by their servants. I say ‘even’ because it has to be admitted that both could be decidedly autocratic and it was no unusual thing for a maid to be soundly tick off in the middle of a dinner-party if something wasn’t up to standard. The chauffeur, too came in for his share of my Grandmother’s tongue. She had a large coach-built Austin which has a class screen separating driver from passenger. It was my joy, as a child, to sit in front with the chauffeur and persuade him to put on speed. But my Grandmother would have none of it. The moment he exceeded 30mph there came the inevitable reprimand: “Reynolds, you’re driving too fast”! In 1922 Eldred's nephew (brother's son) Charles Plumpton Wilson was living at Eckling Grange, Norwich Road, Dereham - Charles was an English amateur footballer who played at wing-half. He made two appearances for England in 1884. He was also capped for the England national rugby union team in 1881, and was one of only three players to be capped for England at both Association football and Rugby football. 1934/5: December 16th - Yarmouth Independent newspaper - "The Norfolk Show to be invited to Dereham in 1935" - Town Meeting Decission - The Town Council held a meeting at the Assembly rooms to consider the arrangments in regards to the show. It was stated that it had been 20 years since the show had been held a Dereham. and that was before the war. The main requiements was a ground of about 40 acres and an adequate water supply. 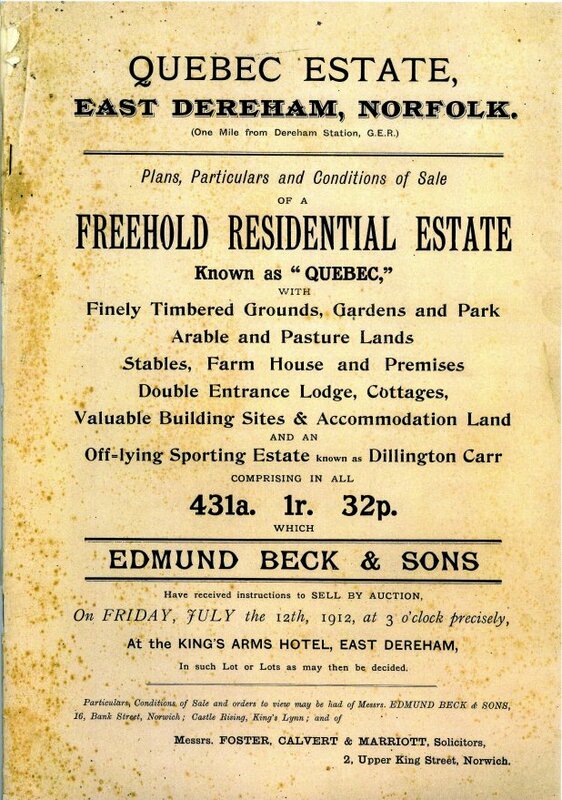 Further headline... 'THE QUEBEC ESTATE', from some remarks by Mr Eldred Wilson it was gathered a 40 acrea field on the QUEBEC ESTATE was likely to be available for the show. - Did it take place there? * Richard Eldred Wilson had been farming at Harpley Dams Hillington in 1911. Richard and his wife Charlotte had a daughter Brigid Brinkman Wilson born in 1911, she married David Charles Carey in 1943 at Dereham - David was the son of Henry Neville Carey a farmer of Whitehouse Farm, Middleton, Norfolk and Agnes Greeves nee Wilson. 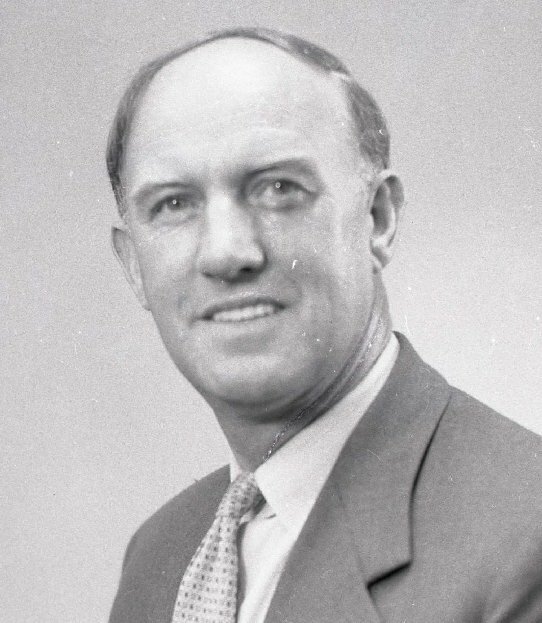 they had married in 1903 at Ivy, Virginia, America where two of their children were born, David was born after their return to England in 1909 --- It should be noted that Agnes's mother was Agnes Wilson, eldest daughter of the Rev Plumpton Wilson, which makes her Eldred Winteringham Wilsons (above) eldest sister. * Louisa Margaretta Wilson Died in the Jun quarter of 1963 at East Dereham age 88 - Probate: Louisa Margaretta Wilson of East Bilney Nursing Home, Spinster, died March 29th 1963. Probate Norwich May 29th to Barclays Bank Ltd. Effects £23,354.10s. 1939-1945: - Second World War - very little is known of this period - any help would be gratefully received. What we do know is, behind the Hall was a military fuel dump, guarded by men from the Norfolk Regiment - Mr George Stimpson was one of the 10-12 man team. He was there until the August of 1943 when he joined the Queens Royals and was posted to Burma, where he was wounded on May 7th 1944. During his stay the men slept on the third floor of the Hall and being young men they soon caught the eyes of the young female staff. Bath night was once a week, and the only place with hot water was the Hall's main bathroom. In military fashion they would line up on the stairs, taking their turn to bathe, this event was recorded in a book and known as 'Bath Parade'. It was during this weekly routine that George caught the eye of Elsie Bullock working at the Hall as assistant cook. "I liked the look of him" Elsie was to admit years later. Romance blossomed and the Hall, for George took on a different meaning, he would often be found helping Elsie complete her tasks so they could take some time together. Elsie would often do a meal for him, and so as not to upset things with the owners George would eat his food from a plate placed inside the kitchen table drawer, so if anyone came he could quickly push it shut. George and Elsie married on Tuesday, October 7th 1941 at St Edmunds, the parish church of Swanton Novers, Norfolk. As a member of the Norfolk Regiment, George was first stationed at Britannia Barracks in Norwich with duties at St Faiths aerodrome. In 1940, he was a member of a group of about 12 soldiers sent to Dereham to guard what in affect looked like three haystacks covered by camouflage netting. The containers were probably made of tin, rectangular in shape about 2ft x 1ft x 1ft. He was unaware what the material was but in several months on guard, no stock was received or dispatched from the store. A guard of two soldiers was on duty 24 hours a day. Most of the time when not directly on guard they spent their time in a barn on the farm. A bell tent was provided to shelter them when on duty. This was replaced by a small Nissan Hut. One evening, having returned to the barn having completed a spell on duty, George remembers a large bang. It appears that a bomb landed near the Nissan hut (just one day after its installation). The blast from the explosion lifted it into the air and moved it several yards. One soldier on duty was injured in the thigh. Dr Wilson was called. He arrived in a dressing gown, performed emergency first aid and arranged for his transfer to hospital in Norwich. The soldier suffered some permanent injuries but survived. Bombers were often seen while on duty. The cook in the Hall was Edna Hurn and Elsie Bullock was her assistant, they looked after the soldiers as well as they could and often provided 'unofficial' meals from the meagre rations - including Christmas Cakes - which they cut up with their bayonets. 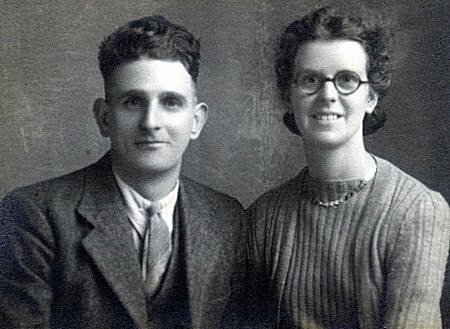 Over the year George and Elsie fell in love, George was constantly in trouble - particularly for creeping out when he shouldn't. One such event was when he went to collect the wedding ring from the jewellers in Dereham. There is still the remains of an old gun turret on the land behind the cottages looking out towards Fakenham." Is there any more information? He remembers an old cat that managed to jump onto the handle of the heavy kitchen door. Its weight would open the door and it would allow the door to fully open before jumping off inside the kitchen. Elsie left QUEBEC HALL and went to help at what is now the Rural Life Museum at Gressenhall, which was then a hospital for poor elderly people. Edna Mildred Hurn was nicknamed Mrs Kelly, George doesn't remember why. She became a WAF as a cook, married George Brignall in the September quarter of 1946 at the Depwade district. They had twin boys in 1947 at Bedford. She was tragically killed following a mugging in 2006 at Bedford. 1948: Aug 6 - Diss Express - The Old Buckenham's Young Farmers Club was held at QUEBEC HALL by kind permission of by Mr D C Carey - Could be Quebec Farm! 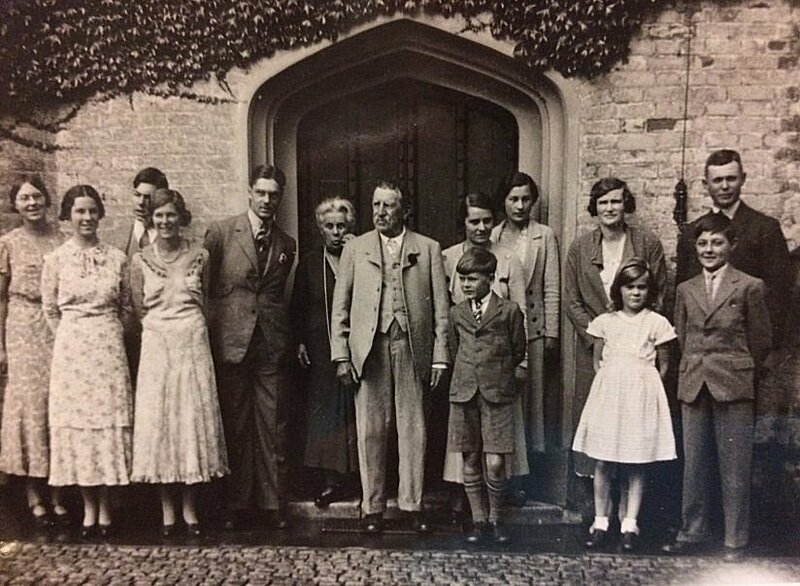 It appears the occupant of the Hall at this time was Mr David Charles Carey 1909 - 1966 - David's had married in 1943 at Dereham to (Brigid Brinkman Wilson) the daughter of Richard Eldred Wilson (granddaughter of Eldred Winteringham Wilson past owner of the Hall). David died at the early age of 57, Brigid died in 2002 at Norwich. 1950's - QUEBEC HALL became a ‘Parents National Education Union’ school ---- We also know that a Miss Tomlin and Miss Hilton had a private school there, as the two eldest daughters of David Potter (builder who bought the property in the late 1950's) attended - no other information at this time - any help would be gratefully received. 1958/9: QUEBEC HALL was purchased by Dereham builder David Charles Potter ------ QUEBEC HALL had become vacant and was left empty, and falling into decay, like so many large properties after the Second World War. People could not afford the upkeep. David Potter a local builder was on a mission, he had become increasingly frustrated by the fact that Misssionaries and people who had given their lives to doing the Lord's work were, at retirement left homeless. His vision was to create a home and safe haven so they could spend their last years in peace and security. The school closed and for some time the hall stood empty. It became derelict and was generally in a sorry state with broken windows and panels falling of the walls inside. David Potter bought the hall and on Wednesday's Bertha would go to Noel Abel's salerooms at Watton and buy antique furniture, which in the late 1950's was very reasonable and suitable for such an old building. 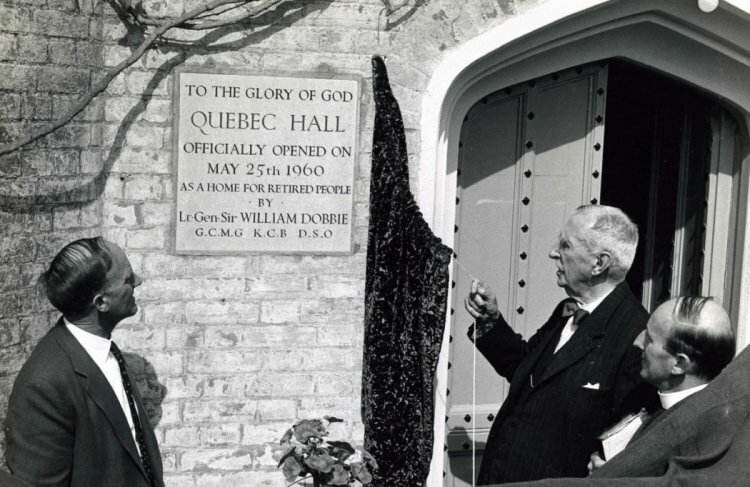 QUEBEC HALL was officially opened on May 25th 1960 by Lt Gen Sir William Dobbie GCMG, KCB, DSO ---- The Hall originally had a lovely walled garden, with pink and white camellias growing on it. This had been beautiful back in its heyday, but was now terribly overgrown and looked like a wilderness. The bulldozers moved in, and all was cleared ready for building self-contained accommodation, but also offering the benefits of living in a Christian community, each bungalow being connected to the Hall in case of emergencies. These were purchased by residence at £1850 each ------ My husband, the late David Charles Potter was born in Shelfanger near Diss, Norfolk in 1914. From an early age he developed a love for the elderly people. After his mother died when he was very young. David spent many hours with his Grandfather, sitting on his knee listening to stories. This love of the elderly continued throughout his life and was to be a major influence in founding the three Eventide homes in Norfolk. Every other Sunday afternoon David spent at the workhouse at Gressenhall, now the museum, where he took a service for twenty or so elderly residents who loved the old hymns and the packet of polo's they were given at the end of each service! At Christmas time he would hold a carol service for them, followed by a fish and chip supper for all who attended - One of the first residents was Mrs Bunting who had sixty years worked in service a QUEBEC HALL. She was thrilled to be able to come back to the Hall and be waited on, instead of waiting on others! David's parents were Charles Robert Potter and Florence Emma Welton, they had married in 1903 at Shelfanger - Florence, David's mother died in 1920, aged just 35. David started work on a building-site and it was not long before he had his own business and men working for him. At the age of 18, in 1932, David was baptised at the Dereham Baptist Church. By 1938 Potter Brothers Builders, Dereham was formed. His first building, the Christian Brethren Gospel Hall, Shipdham Road, Toftwood, was were he regularly worshiped from then to the time of his death. Potter Brothers began in a small way but very soon graduated to public work contacts, and David supervised the building of secondary schools at Fakenham, Wells, Aylsham, Swaffham and Burnham Market. He also built police stations in Dereham, Dersingham, Hunstanton and Downham Market, and the large George Borrow housing estate of Yaxham Road, Dereham. At one time there were over 200 employees. In the June quarter of 1939 he married Brenda Roma Saunders at Dereham, they had two daughters, Margaret and Beryl. They lived at The Beeches, next to Yaxham railway station. After a few years Brenda fell ill and on December 24th 1960 she died age 49. In 1963 he remarried to Bertha Rosalind Horne daughter of Arthur Edward Horne a builder and undertaker of Mattishall and his wife Elsie Kate Fisher, at the Methodist Church in Mattishall. David and Bertha also had two daughters, Rachel and Leah ---- David closed his business in 1979 and retired, but was well known for his hobbies, he had particular affection for wind and steam power, and turned windmills at Saham Toney and Hindolveston into homes. He also restored a mill at his former Yaxham Home. He owned several steam vehicles - and during petrol rationing at the time of the Suez crisis in 1957 he ran a fleet of them ---- On October 31st 1980 David died suddenly at his home, 25 William Cowper Close, Toftwood, Dereham. 1980: Eastern Daily Press - 200 at the Funeral of Mr. David Potter - Toftwood Gospel Hall at Dereham was full for the funeral of Mr. David Charles Potter, formerly one of Norfolk leading builder contractors. Mourners had to be turned away after more than 200 filled the hall and neighbouring schoolroom, to where the service was relayed. Cars lined the main street of Toftwood. Among those paying tribute to Mr. Potter who died at his home in William Cowper Close, Toftwood where former employees of Potter Brothers the building firm he started in 1938 and built up to employ 200 people at one time. The manager, supervisors, office staff and workmen attended the service, which was conducted by Mr. John Smith of Ely. 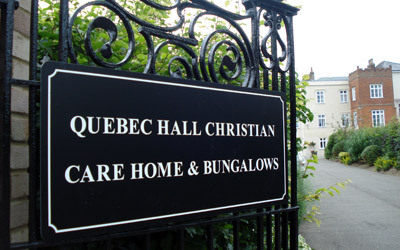 QUEBEC HALL is now a Christian Residential Care Home bungalow complex - it is also a grade 2 listed building - The 260 year old Hall is full of character and has been providing a caring family atmosphere for up to 22 residents since 1960. They have a staff of 32 - Their website can be found HERE. The Norfolk Records Office in Norwich hold a great deal of documents relating to QUEBEC HALL. On doing a search I have found the below - hopefully over time they can be viewed to see if the hold any items of interest to this page. William Wilson Bagge of QUEBEC HOUSE, East Dereham, (1785-1852), son of Charles Elsdon Bagge M.D. of Dereham and Ann Lee Warner, assumed the name of Lee Warner in 1814. He married Mary Ann daughter of John Thurlow Dering of Denver. He was descended from the Bagges of King's Lynn and his daughter Marion married W.E.G.L. Bulwer. Description: Containing diary of visit to France travelling Calais-Boulogne-Montreux-Bernay-Abbeville-Clermont-Chantilly-Paris. Describing inns and, at Paris, including the Jardin des Plantes, Louvre, Gobelin factory, Versailles etc., 1825; letter from Dering to Mary Anne Lee Warner anticipating riots, nd; letter from Mary Anne to Dering on Mrs Reeve's senility, nd; letters from Francis, Turner and West, Norwich solicitors, to Dering re Mrs S.C. Dashwood's fortune, with letters from Mrs Dashwood and George Wilkinson of North Walsham, 1830; letter from Henry ?Tacy, Broomfield Hall, near Bridgewater, to Mrs (Mary Anne) Lee Warner, QUEBEC HALL, re Prowse family and Dering portraits, 1834; obituary notice of J.T. Dering (d 1836); draft monumental inscription (of Crowe Hall, Denver, and Wickens, Kent); annotated sale catalogue of furniture etc. at Denver and library sale catalogue, 1837; letter from Catherine Sharp, Clare Hall, to Mary Anne Lee Warner on death of J.T. Dering, 1836; letter from T.J. Baker, Hardwicke, to same, on same topic and with family and health news and re 'the new homeopatic system', 1836; letter from M. Dering Lee Warner, a child, at ?school at Croxton, to her mother Mary Anne 'I skip as much as I can to prevent chilblains', 1838; letter from D.H. Lee Warner, Walsingham Abbey, to W.W. Lee Warner, QUEBEC HOUSE, mentioning Chartist activity in Norwich at Protestant Association meeting, 1841; Handbill ridiculing 'Great Tory Meeting' at Dereham and mentioning W.W. Lee Warner, nd; note of distances of various objects from Dereham Church, nd. Related Material General estate accounts of W.E. Bulwer with rentals and statements of outgoings and of charges on the estate, 1793-1804 (stamped binding, 1 volume). Original not deposited: microfilm copy MF/RO 334/1, 3. Estate expenditure accounts of W.E. Bulwer with some estate memoranda, arranged by subject, 1793-1805 (1 volume). Original not deposited: microfilm copy MF/RO 334/1, 3. Executorship papers (W.W. Lee Warner executor) of Commander Arthur Lee Warner, R.N., of QUEBEC HOUSE, inc. will dated 1815, will drafts, and probate copy of will dated 1841, and estate duty account, 1815-1843. Description: Elevation of intended new front to QUEBEC HOUSE, Dereham, the estate of Henry Lee Warner Bagge. Coloured, nd; ground plan of same (of W.W. Lee Warner) naming rooms and showing drains, with proposed addition and elevation sketched in. Coloured, nd; map of estate in East Dereham and Hoe of W.W. Lee Warner, coloured to distinguish freehold with table naming pieces, 1820; sale particulars of the impropriate rectory of Wormegay and the 'Crown' public house, 1826, and Wormegay rectory and tithes, 1842; QUEBEC timber sale catalogue, 1860, and Denver timber sale catalogue, 1871; map of estate with carr at Dillington, 1836, with agreement for purchase by W.W.L.W., 1849; papers re compulsory purchase of 2r. land on the Swanton Morley road for borehole for Dereham town water supply, 1876, and schedule of deeds, 1882; papers re enfranchisement of Dereham copyholds, 1876-1877, and schedule of deeds, 1899; correspondence on W.E.G.L.B. 's marriage settlement and estate matters, 1881-1885; letter from Augustus Jessopp to Bulwer as high Sheriff re dispute about Scarning School, referring to 'malignants' and 'paid agitators', 1883; synopsis of Mrs Bulwer's settlement, 1855-1883, with trust accounts, 1885-1898; plan of close between railway and Dereham-Yaxham road, 19th century. Related Material For map of parts of this estate, 1820, drawings of QUEBEC HOUSE and other documents relating to the QUEBEC estate in the ownership of the Lee Warner family, 19th century, see list MC 335 (BUL 16/299, 707X6). pp. 337-340 East Dereham - Diversion of Highway round QUEBEC HALL. Order of Justices, 24 June 1791. Plan attached. Imprint: Norwich : George Cubitt, . Sale of contents of Quebec Hall, East Dereham - Contents: Contents: First-fourth day's sale.